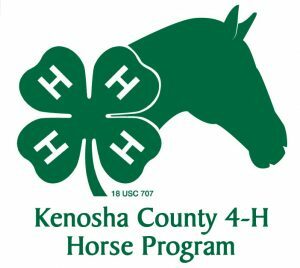 Welcome to the Kenosha County 4-H Horse Program! Here in Kenosha County, the 4-H Horse program offers young people many different types of opportunities to learn all about horses from caring volunteer adult 4-H leaders. These opportunities include monthly meetings, a camp/clinic training session, and horse shows. In addition, the Kenosha County 4-H Horse program offers three distinct projects that young people may choose from depending on their interests and commitment level. These projects include the 4-H Horse and Pony Project, 4-H Horseless Horse Project, and the 4-H Model Horse Project. All workouts go from 6:00-8:00 pm and will be at the fairgrounds. Hawkspur will be the location if the fairgrounds arena is too muddy.